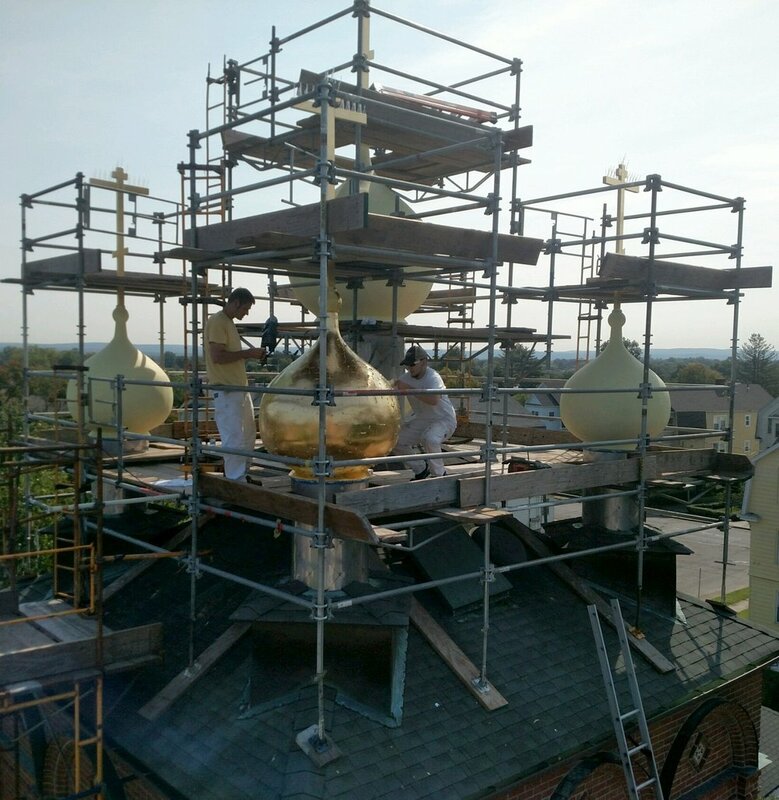 Five onion domes atop Saint Panteleimon Church were stripped, primed, and gilded using 23.75 karat gold leaf. Lighter than a feather, it is the most durable of gilding material available. It is vulnerable to the elements over time, but interior applications can last for centuries.